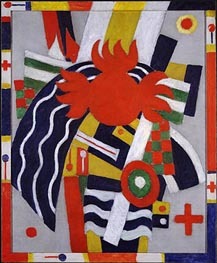 Marsden Hartley (January 4, 1877 - September 2, 1943) was an American Modernist painter and poet in the early 20th century. Hartley was born in Lewiston, Maine, USA. He began his art training at the Cleveland Institute of Art after moving to Cleveland, Ohio in 1892. At the age of 22, he moved to New York City, where he attended the National Academy of Design and studied painting with William Merritt Chase. A great admirer of Albert Pinkham Ryder, Hartley would visit Ryder's studio in Greenwich Village as often as possible. 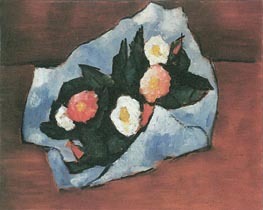 While in New York, he came to the attention of Alfred Stieglitz and became associated with Stieglitz' 291 Gallery Group. He was in the cultural vanguard, in the same milieu as Gertrude Stein, Hart Crane, Charles Demuth, Georgia O'Keeffe, Fernand Leger, Ezra Pound, among many others. 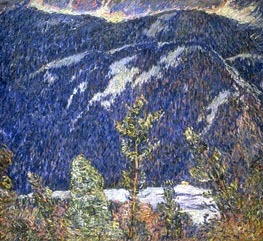 Marsden Hartley traveled throughout the USA and Europe in the early years of the 20th century. 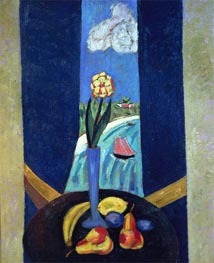 Considered an early modernist, Hartley was a nomadic painter for much of his life. 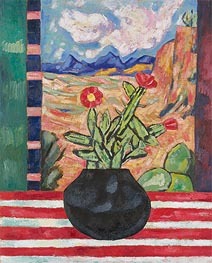 He painted from Maine to Massachusetts, in New Mexico, California, New York and Western Europe. Finally, after spending many years away from his native state, he returned to Maine toward the end of his life. 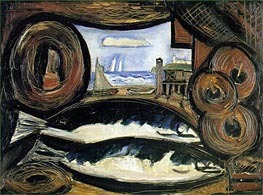 He wanted to become "the painter of Maine" and depict American life at a local level. In this way, he is a member of the regionalists, a group of artists from the early to mid 20th century that attempted to represent a distinctly "American art." 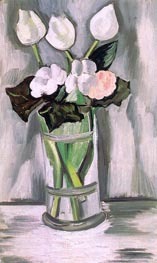 Hartley is an icon among painters. He is considered one of the foremost American painters of the first half of the 20th century. He was also a fine poet, essayist and writer. His written work continues to resonate. Cleophas and His Own: A North Atlantic Tragedy is a story based on two periods he spent in 1935 and 1936 with the Mason family in the Lunenburg County, Nova Scotia fishing community of East Point Island. Hartley, then in his late 50s, found there both an innocent, unrestrained love and the sense of home he had been seeking since his unhappy childhood in Maine. The impact of this rich experience lasted until his death in 1943, widening the scope of his mature work, which included numerous portrayals of the Masons, of whom he wrote: "Five magnificent chapters out of an amazing, human book, these beautiful human beings, loving, tender, strong, courageous, dutiful, kind, so like the salt of the sea, the grit of the earth, the sheer face of the cliff." In Cleophas and His Own, written in Nova Scotia in the fall of 1936 and re-printed in Marsden Hartley and Nova Scotia, Hartley expresses his immense grief at the tragic drowning of the Mason sons. The independent filmmaker Michael Maglaras has created a feature film Cleophas and His Own, released in 2005, which uses a personal testament by Hartley as its screenplay.